Welcome to Sulcis Iglesiente. Cordiality, friendliness, heartiness and overall a quality accomodation are our highpoints. We deeply love our land with its nature and wild animals, that’s why we are always happy to give tips that can be helpful to anybody who wants to discover the most beautiful landscapes of Southern Sardinia. 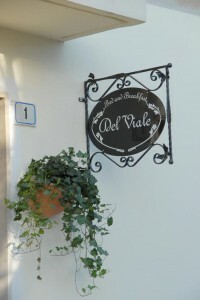 Del Viale Bed and breakfast is located within Bacu Abis, a small mining suburb of Northwest Carbonia, in Sulcis Iglesiente district. 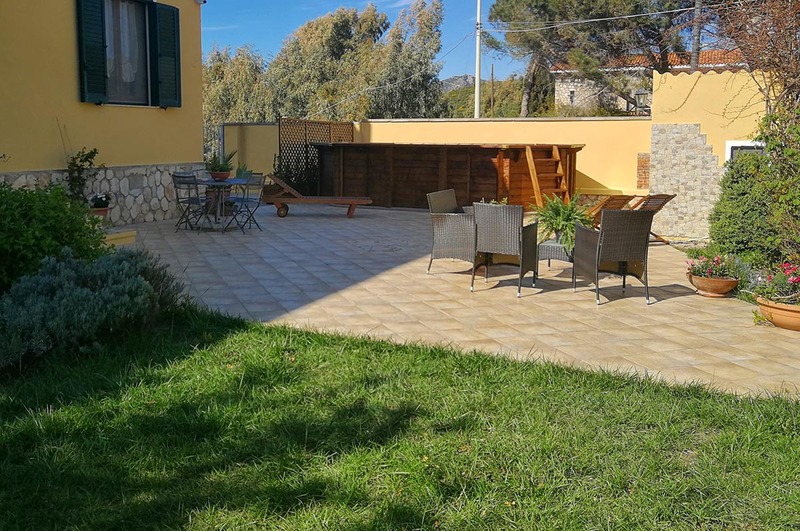 We are just 5 minutes from the beautiful beaches of Porto Paglia, Spiaggia di Mezzo and Fontanamare; within 15 minutes you can reach Porto Pino, Masua and Cala Domestica; you can also easily get to San Pietro Island and Sant’Antioco town. 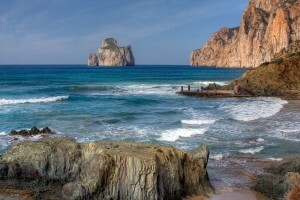 An amazing coastline and unforgettable colour gradations, white cliffs such as Pan di Zucchero, long golden beaches with sandy dunes that even the laziest visitors won’t be able to resist to, Mediterranean woods, cork oak trees bent by the wind. Sulcis area is not only well-known for the beaches and natural beauties, but also for old traditions and the cultural, historical and archaeological heritage, the ideal place for people looking for unchanged authentic places. Amongst the cultural itineraries which this land offers, the trip through the most ancient origins of Sulcis leaves from Villaperuccio, at the site of Montessu, where there is the most important necropolis in southern Sardinia (so-called Domus de Janas, i.e. fairies’ or witches’ houses”), dating back about 5.000 years. From here you quickly come to the Phoenician Fortress of Pani Loriga in Santadi; the rout of the Phoenicians continued right up to the Island of Sant’Antioco, where you can visit another important necropolis, with “tofet” and Archaelogical Musem. In Carbonia there is Monte Sirai Archaelogical Site with Nuraghi and a Phoenician settlement that is is made up of various sectors: Acropolis, Necropolis, Tofet and some ancient tombs. Antas archaeological area is near Fluminimaggiore town. Within Antas Valley, there is Sardus Pater temple, referred to “Sid Babay”, the god of the Carthaginians, protector of hunters and seagoing men, to whom the pre-Punic sanctuary was dedicated. The inscription to a Roman emperor bears the original dedication to the SARDUS PATER but reveals that the Romans probably wished to connect the temple to its more ancient local origins. Our historical heritage is also rich in many other itineraries around the mining culture. Among Sardinian areas, Carbonia Iglesias district is particularly interesting because of its connections between social and mining cultural elements. Mining activities were already carried out in the past by the Phoenicians, Romans, Pisans and Spanish, but it was in the 19th century, following an intervention by the Savoys, the Piedmont royal family, that the mine at Monteponi (in Iglesias region) and Montevecchio (that today is a hamlet of Guspini, in the Medio Campidano district) became the Sardinian mining capital cities. The mining exploitation reached its peak during the Fascist period, thanks to the opening up of the coal mines at Serbariu (Carbonia), today converted and used as a tourist centre. Extractive industry in Sulcis Iglesiente has left beautiful examples of industrial archaeology. They are included in the Geomining Park of Sardinia, today declared the first Historic and Environmental Geomineral Park in the world, an emblematic example of a new global network of Geosites and Geoparks which was established during the General Conference of UNESCO. This area is nowadays an ideal destination for many kinds of outdoor activities. Kite-surfing, windsurfing, diving are only some of the sports on offer along the coast, while the inland can transform your trekking, mountain biking, horse-riding, climbing into an unforgettable experience. But in Sulcis Iglesiente the enchanting scenery doesn’t stop on the surface: here speleology adventurers can explore more than 500 caves. The structure dates back to the 40s, at the origins it was addressed to the directors of mines, but now it has been fully restored by us and it offers a cozy place with five bedrooms air-conditioned, lighted and comfortable, each one of them provided of bathroom inside. For the guests there are several services included in the price: free wi-fi, a large parking and a pretty garden with patio where relaxing. We’ll wait you in our B&B. Our family will glad to preserve you a perfect stay!